Collecting old stuff isn’t an illness, it really isn’t. Collecting, finding, procuring, nay – rescuing old vintage stuff, is a bit like being a superhero. Think about it folks, you walk into an antique shop/opportunity shop/charity shop/secondhand shop/market stall/trash ‘n’ treasure/skip/kerbside collection. 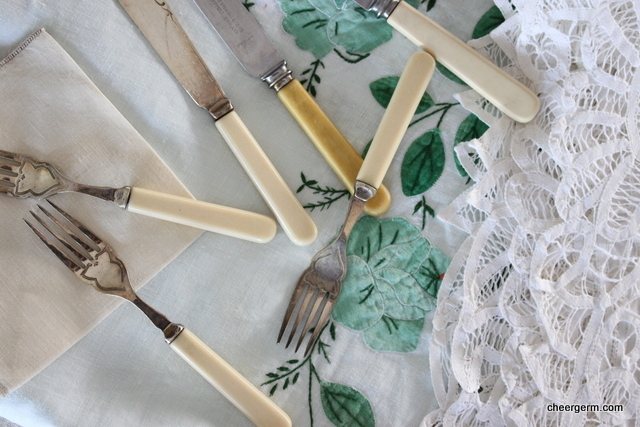 Whilst at any one of these fine locations, you may happen upon a beautiful ‘something.’ (A piece of china, kitchenware, jewellery, furniture, old teatowel, clothing, a pair of 1920’s men’s underwear…ummm…maybe not). 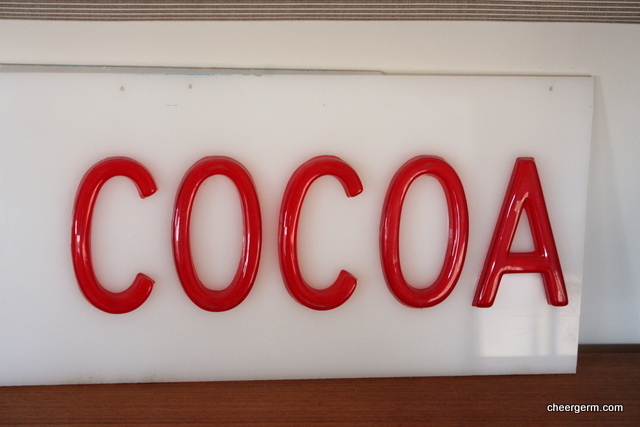 This item has history, it was once owned by someone, possibly even loved (or loathed) by someone. This object/knickknack/doo dah has a story to tell. It may be rare, odd, tickle your fancy, or perhaps you simply love the colour. It is difficult to define and pin down what makes an object desirable. 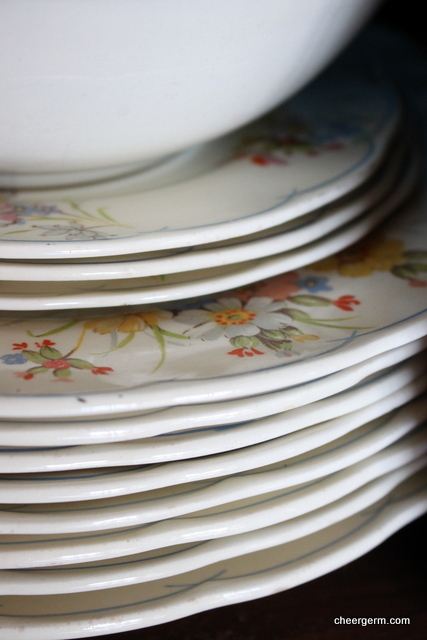 (I have a particular penchant for secondhand china and kitchenware. Followed by abandoned furniture and op shop clothing finds). If you don’t buy it (or pick it up from the side of the road and put it in your car) then that special thing that caught your eye, may just end up in the desolate pit that is landfill. (Or worse, someone else will get it and you will miss out.) You are saving something from a Fate Worse Than Death. Just as Batman, Superman, Wonderwoman, Harry Potter and Frodo have done, time and time again. You are committing an act of social service by saving this piece of crap vintage stuff from merely being trashed. Or left lonely and forlorn on that shelf. Don’t worry about space and storage, as I have confidently informed The Yak. These delicious finds can always be stored in The Tardis that one keeps in the garage. Don’t only buy new, find old stuff as well. It’s really cool and you too can be a Superhero just like me. Here are a few pictures of some of my old vintage stuff, don’t worry, it’s only a few things. I promise to share more of my lovelies with you every now and again. 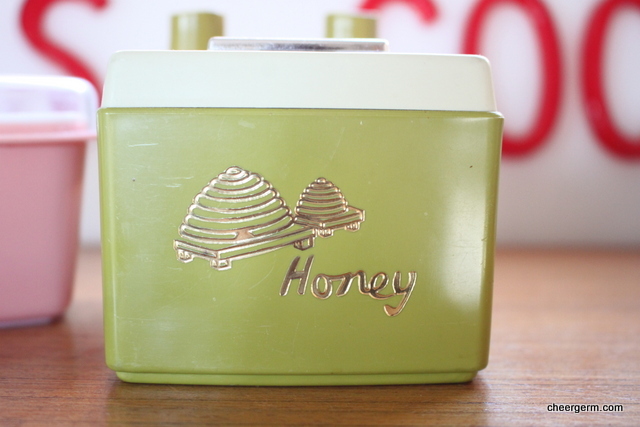 This entry was posted in Ponderings, Vintage Darling and tagged cheergerm, collecting, food, Humour, musings, recycling, retro, retro kitchenware, upcycling, vintage, vintage homewares. Bookmark the permalink. What lovely finds! 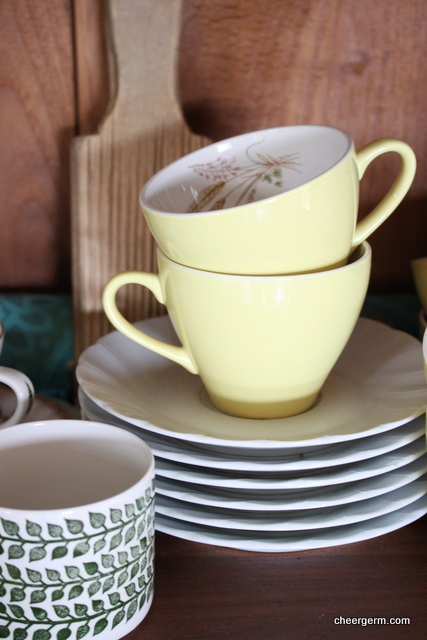 I love everything vintage and try to shop for clothes at the charity shop….but I have clutter issues. Just took 150 kg of old books and stuff to the local association clear-out yesterday – and left without a gander at the arrays of stuff! Thanks Mel, yes, clutter issues… ‘Nervous shuffle of feet and averts eyes’. Don’t know what you mean by that. 😳 Someone here (possibly moi) needs to do a bit of a book cull as well, a difficult thing to do hey?? 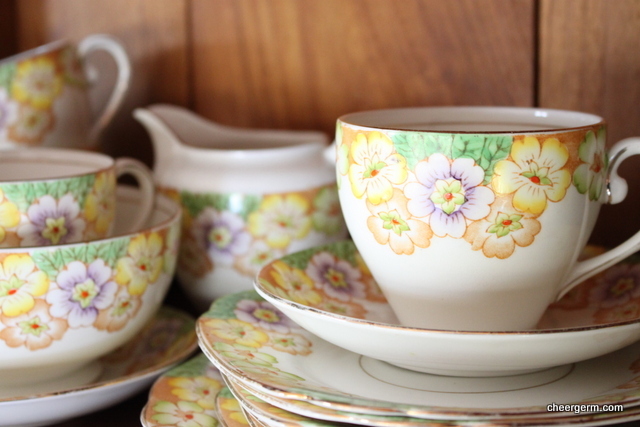 Love your collection of treasures Cheergerm… the yellow tea set up the very top is beautiful and reminds me a little of a Noritake set that my parents have. 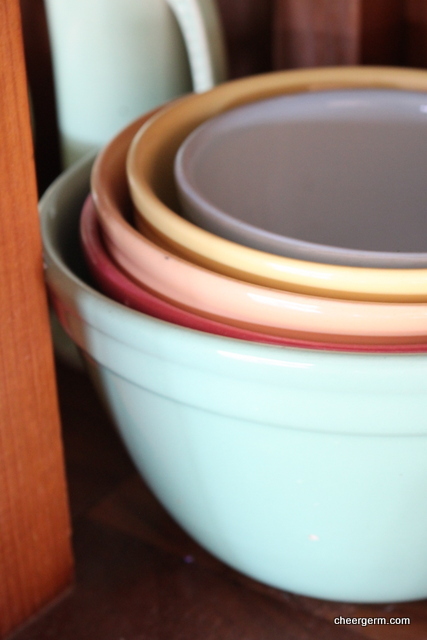 One of my favourite pastimes is wandering through antique and second-hand shops to uncover pre-loved furniture and kitchenware… never know what you’ll come across! A Tardis? Was ir 2nd hand? Regardless, a. Very handy item for an avid collector. I was in my local thrift shop eyeing some silver plated object and wondering should I? I didn’t but if I had Tardis I might. Your finds are gorgeous! Lordy. Look at all those typos! One-eyed typing on a phone keyboard is not a good idea! Trouble is Cheery there seems to be a lot of confusion between objects of quality and taste that have fallen out of fashion and stuff that is just old, ugly and useless. 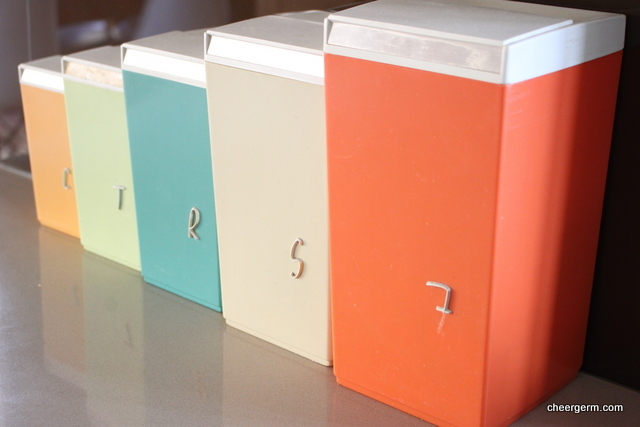 I love your retro canisters, very 1950s, highly desirable and gorgeous, just like moi!! You are fond of yellow! So am I. I’m quite taken with those pale yellow cups that have the design on the inside. 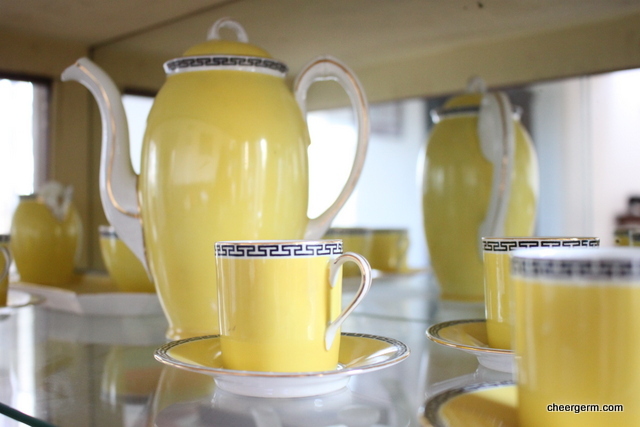 And both yellow teapots are lovely! 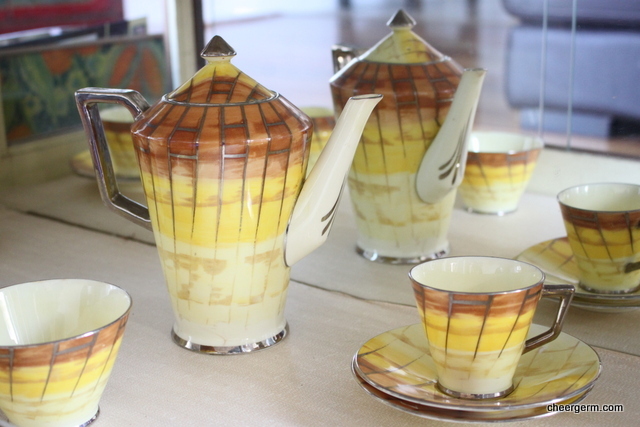 Or are those coffeepots–they typically have that tall shape, don’t they? Lol, so this is how you rationalize you basically being a hoarder huh? This is what you tell yourself? 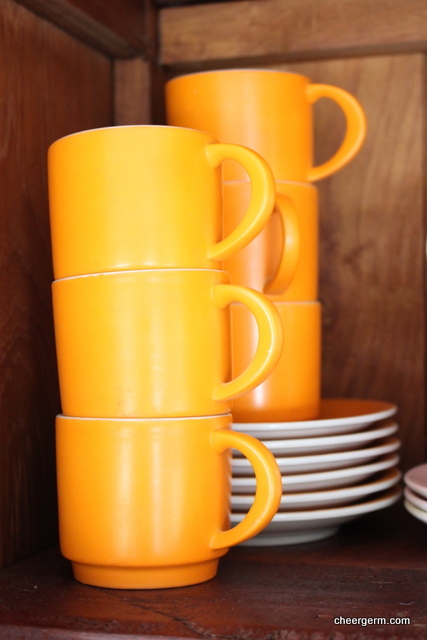 Hahaha, just kidding germ, I love your little collection, especially the orange cups. I know how you feel about recovering little bits of other people’s history, Cheery. I have a huge collection of Depression glass. Not valuable which is great because I get to use as well as admire my pieces. My mum has a couple of those canisters left. Our local hospital used to have lovely trash and treasure stalls once a month until Occupational Health and Safety got in the way. Now it’s new imported dross. Beautifully put Minstrel and your glass collection sounds lovely. It’s a lovely thing to use it as well. I also make use of a lot of my ‘stuff’ too. Stupid occ health and safety…all wrapped up in cotton wool. A real laugh out loud moment when reading your posts – and this one is no exception. Yes, yes, yes, you are a superhero! I love junk/treasure hunting. It looks like you managed to find both the elegant and the quirky to enliven your home. No matter how much we would like to think so, we have to face the fact that the home is not really a Tardis, although perhaps the garage….